1. 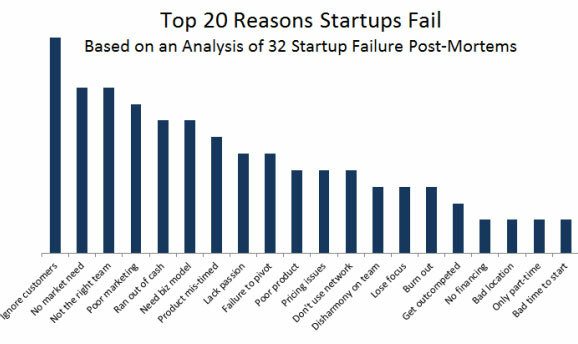 90% of online startups fail. Most of them failed because they were building products that nobody wanted or that they were probably just missing a piece of the puzzle. Most startups have a lot of ego and think that they can just wing it and get lucky. However, it's actually very rare that startups get lucky. Since the internet era began 20 years ago, the knowledge, resources, and tools are better than ever. Experts and successful startups have shared their success stories and failure stories, and now there definitely is a way to maximize the possibility of success for a startup. Also, read this: 33 startups reveal how they failed - a great reason why you should really learn how to be a great entrepreneur. 2. You don't need to know how to code: For those of you have been holding it off because you don't know how to code, you don't need to know how to code to be able to build an online business. When I ask startups what they think of first when they have a great idea, almost all of them tell me that they have to build a product first. However, that's the wrong mentality to have. As startups, we should drop the build-first mentality. Once you drop that mentality, you find out there are many ways you can start your business and start making money even without an online presence. We combined all of the best proven learnings and knowledge, and created the Ultimate Startup Guide. This course will take you through the critical points of buliding a Lean Startup, and help you grow it through proven tricks like the Growth Hacking, Content Marketing, SEO, and other great tips fro experts like Ash Maurya, Steve Blank, and Eric Ries. The information in this guide is very detailed and will provide you the right guidance to become an expert of Lean Startup and other curriculums. We want to provide startups with all the best resources and tools needed to build a successful startup, get funded or accepted to an incubator, or just straight up bootstrap and grow like crazy. So in short, StartitUp's goal is to help entrepreneurs or wantrepeneurs get to the same level and knowledge as the guys who have been doing this for years. 1. This guide is always updated, so we don't ever want to say it's ever complete, since new startup knowledge is outdated quickly, but new ones spring up quite quickly as well. 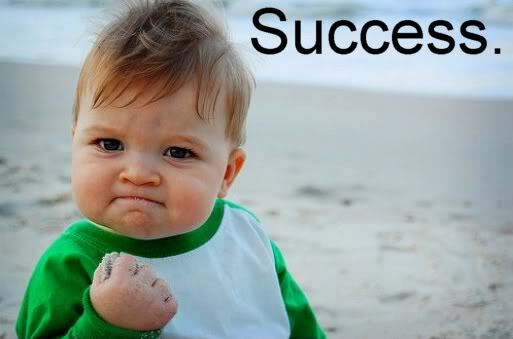 Therefore, it does and will always have the most updated action items to help you build a successful startup. And, if you find typos or misinformation, or if there is any content you'd like us to add, please let us know! 2. A lot of the resources mentioned in this guide are probably not applicable for your country or location. However, we do give you an idea about what tools you can use so that you can find similar ones that you can use in your country. Note: The first few sections will include mostly preparation questions, but are extremely important. They're not action packed, but please take the time to read through them and understand them before we get to the tasks, as they are also a crucial part of learning the Lean Startup Methodology. 1. Don't write a business plan if you don't need to. It takes a long time, and investors would much rather see a product with traction than 50 pages of assumptions. This is not to say you will never need it. However, this guide is to help you do all the crucial stuff, like actually buliding a viable business. If you need to think through your startup, use the Lean Canvas instead. 2. Be practical. Just like how you shouldn't write a business plan, don't print out business cards or incorporate too early before you are actually profitable. Don't let your ego get in the way of your bank savings. 3. Drop the build-first mindset. You can consider a service-first business as the first version of your MVP - especially for non-technical entrepreneurs. A service-first business is a business where you deliver the solution manually, without a product to begin with. Imagine if you are going to build a babysitter platform. The best and first thing you should do might not be to build out a full-scale babysitter marketplace, but to organize and charge for offline events to match parents with parents (make it fun!) and parents with babysitters. This way you actually solve what you eventually want to solve with your online marketplace (on a smaller scale), and you also get to talk to your users and build brand mindshare at the same time. This would be your first product, and you probably will want to make these events official and continue to charging and making money while and after you build your eventual MVP. You can start buliding the MVP when you can't keep up with the bandwidth needed to provide the services manually and at a low overhead. Ash Maurya - Ash's Running Lean is a big contributor to this guide's flow. 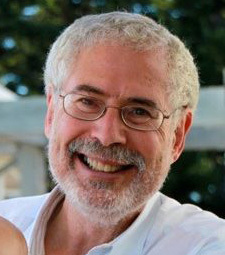 Steve Blank - Steve's wonderful Customer Development is heavily used for the Customer Development section. Many tools on this website were also taken from Steve's website. Mattan Griffel - A genius in growth hacking, and the one that made learning programming in 1 month relevant. Noah Kagan - His growth hacking tricks and experience are extremely influencial. Andrew Chen - For his tools and links for great growth hacking resources.